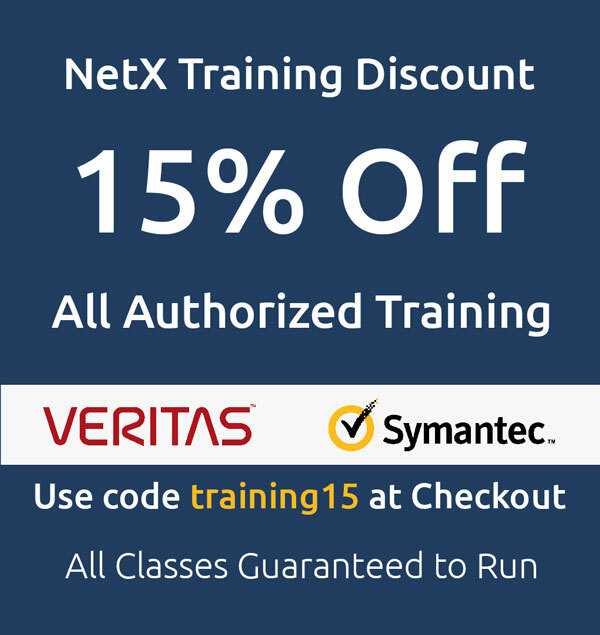 NetX authorized Symantec NetBackup training delivers a comprehensive hands on instructor led training course. The instructor is available for student questions and discussions throughout the course. NetBackup outpaces the relentless growth of the data center with innovative performance technologies, efficient storage techniques, and by providing fast, easy recovery for any data you need. NetX Netbackup training courses can help clarify your understanding. As IT transforms from cost center to business enabler, NetBackup is engineered to solve the diverse challenges of today and tomorrow and ultimately give organizations the confidence to move faster and take bigger risks trusting that their information will be safe. Acquire the skills to make your data protection strategy successful. Acquire the skills to make your data protection strategy successful with the Veritas NetBackup 8.1.2: Advanced Administration course. The NetBackup Appliances Configuration and Management Training course is designed for the IT Professional who is new to appliances and is responsible for configuring the 5330 and 5240 appliances, performing appliance maintenance tasks, operating and managing the appliance and troubleshooting the appliance.